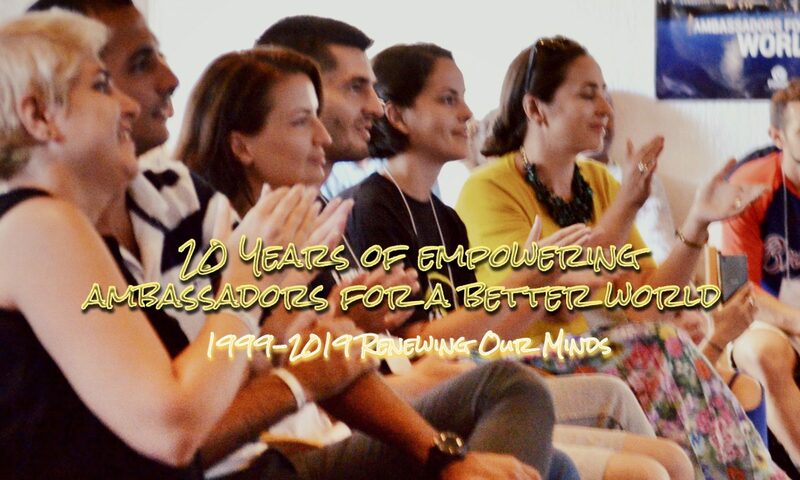 Heather N. Staff, ROM – Renewing Our Minds Core Team Member from UK, reflects on what she had gained at the 2018 ROM Regional Follow-up Trip, June 2018, as the team visited the ROM and EDI Alumni in Serbia, Macedonia, Albania and Romania. A celebration of friendship that engaged people where they were at, listened, reflected and learned. The trip not only engaged on a personal level with people but also physically was a chance to see where people lived, worked and went to school. We saw the highs and the challenges of everyday life and the community that was sustained through the common denominator which was ROM/EDI. For some our visit brought renewed hope and encouraged a sense of right time and right place, for others it was a chance to remember why they were part of ROM. Yet this was not just about engaging with old friends it was also a chance to meet people who had questions about Jesus, about politics, integrity and where the world is headed. These people I hope will come to be part of ROM/EDI next year. It was clear from conversations that ROM has impacted people, often career choices were changed or studies undertaken because of what was heard at ROM, it brought home the responsibility leaders and speakers have at ROM. What we say is not forgotten and can have life changing impact. ROM made people think, issues came up of grace and forgiveness, people did not have an issue with ‘too much Jesus’ and for the most part they wanted to be challenged. There were feelings from some people that we need to talk through issues of nationalism and engage with past conflicts in case we forget them. People also seemed happy that we had addressed the refugee crisis and invited refugees to be among us. In Romania and Albania there was a desperate thirst for examples of good political leadership and ways to combat isolation, corruption and how to argue/disagree well. How do you give dignity and respect while maintaining principles, how do you work through issues that are not black and white but complex? It was in Albania and Romania especially that perhaps a new format for ROM could be looked at, more intimate gatherings or living room talks and panel interviews/debates that can go along with talks. These panel events were effective and engaging as they allowed greater questions from people. The living room dialogue session in Cluj was a great example of an informal way to talk about politics, yet open it up to a wider framework where friendly dialogue without judgement could be had. The biggest take away for myself however came in the sense of community that followed us wherever we went, quality conversation time amongst those that came and the people we came to serve. I was amazed by a conversation in Novi Sad, Serbia with a lady I had not met before, it highlighted how ROM gave her community and how she felt loved and never judged. How much she missed the sense of being in community and how life at the moment is difficult for her. She was able to connect with a lady in a similar situation and they are now able to talk regularly, she really needed our visit. Another young man shared how he changed his studies and as a result now works for Samaritans purse and is looking for other jobs in humanitarian aid. In Belgrade, Serbia I was amazed by the hospitality we were shown and the growth in some people, likewise seeing people from my small group who are on a journey not just with Jesus but in making change in the lives around them. I feel we were able to bless many people who had little and I hope we also helped people to engage with what is going on around them and examine what it is they really think and feel. In Albania I was amazed by the amount of people who came to the dinners, and the quality of conversations, looking back Albania really needed our attention for much longer. The church service in Berat was excellent and spiritual refreshment for me. The panel interviews and talks engaged people and showed a desperate need for leadership in politics. Those that had been on ROM were hungry for more, but also showed incredible kindness and hospitality. ROM and EDI have clearly impacted people here and I could see how hard it is to not slip into the trends of nationalism but they are fighting it and trying to promote quality thinking and good disagreement. If I have to summarise my time on this celebration of friendship it would be to say community is vital, people need community and miss it. ROM has helped to build it and it must be sustained which includes follow up, communication, a text now and then, especially from leaders and speakers. ROM can change people’s thinking and this can make life harder when people leave, and may require some after care. For ROM to stay relevant it needs to keep Jesus at the centre, His life, love, grace and forgiveness are what makes ROM so distinct from other gatherings and talks. It is because of Jesus that we do what we do and seek to help people become better leaders who act justly, love mercy and walk humbly. Jesus inspires how we should talk and care for each other even when we have differences of theology or political opinion but it also makes us brave. ROMs relevance is needed more than ever, its vital we do not shy away from tackling the ideological positions that the world seems to be taking around – fascism and communism or simply nationalism. It is vital we keep helping people to see the perspective of each other ‘to walk in their shoes’ and learn how to forgive and show grace. It is vital we show how to speak truth while doing so in love and it is vital we help people to build community and show love to not just the neighbour but the enemy. ROM is relevant, it allows for complexity of thought, dialogue and the ability to connect Jesus teachings to everyday leadership. It should not be afraid to welcome those of other faiths and help them journey and see why Jesus teaching is different and why it stands the test of time and it should always do so from a place of love. Next PostNext Video Feature: Where are They Now? Developing leaders transformed by the person of Jesus in a divided world, inspired by His words: “Whatever you did to the least of those, you did to me!” Matthew 25:40. 20 YEARS OF ROM – celebrate with us! YES, Friends, we want you to join us in this milestone celebration of friendship, transformation, service, God’s leadership and grace that has followed the history of the Renewing Our Minds (ROM) mission and its community of friends for the past 20 years. You are a blessing, fruit and beauty of this movement. Whether you were part of ROM in its early days, or only recently, or any time in-between; or whether you attended only once, or served as a mentor, speaker, facilitator or team member, we would like you to join this big family gathering of friends, visionaries and caring leaders. Consider this informal invitation as an incentive and priority, follow our updates, and if you have been part of ROM in any capacity over the past 20 years expect to receive the official personal invitation any day now. But let us know you are intending to come, and save the dates and place: 29th July – 5th August, 2019., Hotel Klimetica, Ohrid, Macedonia. PARTNER WITH US! GIVE! click on the image!